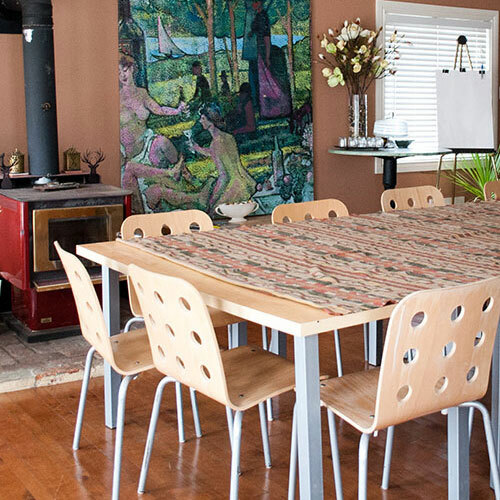 The Muskoka Rose Guest House & Retreat’s stunningly beautiful and serene setting provides the ideal backdrop for participants of group retreats and events to connect with nature while being a part of your affair. Event facilitators are invited to rent our facility for group retreats, workshops, conferences and seminars. Additionally, for larger events and gatherings such as weddings, reunions and conferences, we host upwards to 120 guests (sit down) in an 1800 sq. ft. tented environment on our property. We can assist you in arranging additional services to supplement your event, such as catering, mobile spa, recreation, entertainment, workshops/classes in culinary arts, and health & wellness (yoga and meditation). We can assist, with advanced planning, to place your guests with local accomodations. The Guesthouse can comfortable accommodate 8 persons overnight; additional persons may be accommodated by special arrangement. The main workshop room can facilitate 12 persons. Our location affords spectacular views from almost everywhere on the property. Our long dock is used for sunrise yoga and meditation classes, and sunset dinners. Activities include kayaking, canoeing, fishing, hiking, or simply relaxing and appreciating all that nature has to offer. Our facility is designed for those of us who enjoy nature but want some of the luxuries and conveniences of home. The resort offers well-appointed rooms that are designed for cleanliness and comfort. We are dedicated to support your inner balance in the most profound sense, by providing a unique and extraordinary “Get-a-way”. Even a little time spent at The Muskoka Rose can make a difference. 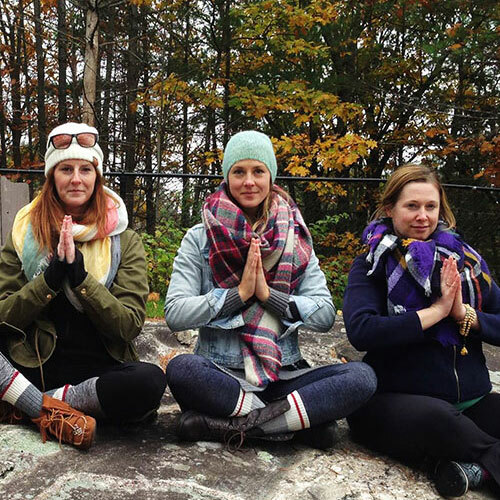 We would love to have you host your yoga retreat at The Muskoka Rose, a peaceful, detoxifying environment where you can deepen your students’ yoga practice, focus on nutritional values and healthy cooking practices, cleanse and relax. With many options including yoga on the dock, rock sitting, SUP on a private lake, or sitting in one of the terraced yards, surrounded by gardens. The Muskoka Rose is an ideal place to bring people together to celebrate nature, nature healing, and heightened consciousness. More importantly, the property sits on one solid piece of granite, which is the iconic rock of the famous Canadian Shield. Our granite has Quartz ribbons that run through our entire property. Quartz has been called the “Universal Crystal” because of its many uses; enhancing energy by absorbing, storing, amplifying, balancing, and transmitting. This makes the property ideally special for yoga due to Quartz’s ability to energize the environment. The Muskoka Rose is surrounded by 250 species of birds, 50 types of mammals, and 25 species of amphibians, and has a network that covers 4000 sq kms of Canadian Shield terrain. 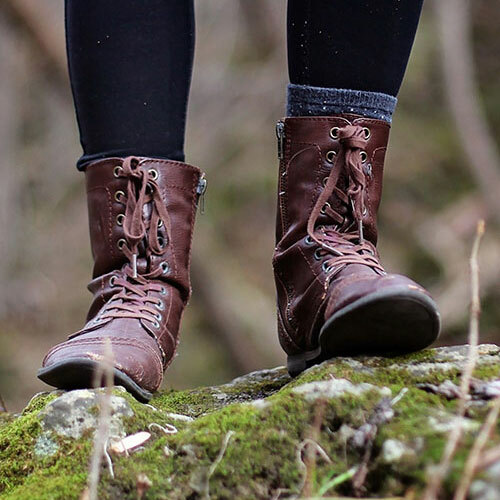 Close by, you and your fellow hikers can find 9 distinct and unique trails which include Hardy Lake trails in Hardy Lake Provincial Park just off Hwy 169 east of Torrance. The Torrance Barrens Night Sky Preserve, and Kahshe Barrens Reserve with it’s ridges, ponds, barrens, forest and swamps. Whether your groups’ interest is to have a simple hike through old dirt roads and forests, or to experience a more difficult day of rugged terrain, there is a suitable trail for them near by. 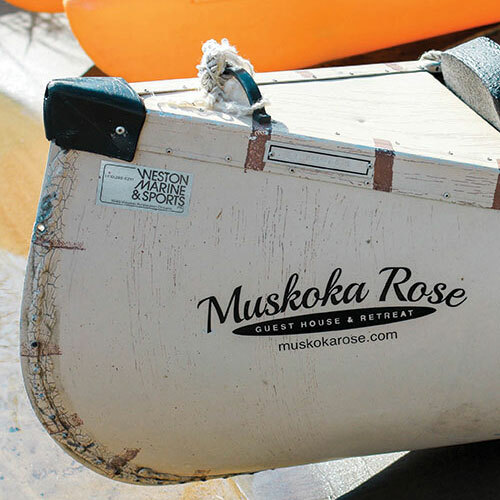 Whether for an hour or a day of adventure, come stay with us at The Muskoka Rose Guest House & Retreat, and paddle through the clean and clear waters of Pine Lake. Canoeing on this three finger lake offers spectacular views, great swimming, and, if you wish, we can pack you a picnic lunch for your day trip. Our most popular paddling route takes you from the Guest House which is located at the most easterly point of the lake, southwest on a one and a half hour trip to the Torrance Barrens Dark Sky Preserve. The Torrance Barrens has been designated as the world’s first permanent Dark Sky Preserve. The 4,700 acres of Crown land is bedrock and wetlands, with trees and bushes that are stunted in height. For star-gazers, it provides a spectacular 360 degree view of the night sky, unhampered by artificial light pollution. Located on the waterfront of Pine Lake, The Muskoka Rose provides the right atmosphere for productive, distraction-freem overnight conferences for you and your team. Our property is the perfect venue for inspiring team-building and forging lasting business relationships. The environment at Muskoka Rose sets the stage for both a relaxed and engaging event, whether for a sales presentation, management conference, or for relaxing as a team. Our meeting space has a seating capacity for up to 15 people, and can be set up as a classic board room, gallery, presentation theatre, and can accommodate up to nine work stations. From small business meetings to corporate functions, we have the amentities, event capabilities and unparalleled service to ensure your event is flawlessly executed. The Muskoka Rose comprises the necessary elements for designing your custom workshops and retreat programs. Our two acre property host terraced, manicured yards, dock and lakeside areas for planned activity set-ups, group outdoor luncheons, and evenings around the bonfire pit. Private sitting can be found in the courtyard and garden patio with the small fire pit. 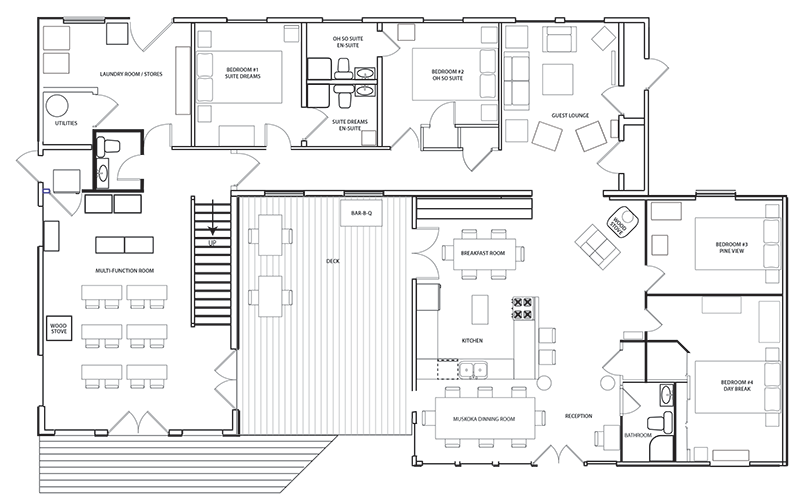 We offer private indoor event space additionally to the common area sitting room/library and large open kitchen. Contact us about our group & extended stay rates weddings & special events, packages, and to discover more about our special culinary & wellness services.